What Do Mormons Believe About the Law of Moses? How Do Mormons View the Law of Moses? “Strictly speaking, the Law of Moses consists of the first five books of the Old Testament-what the Jews call the Torah. These five books of Moses (Genesis; Exodus; Leviticus; Numbers; and Deuteronomy) are also called the Pentateuch, but in the New Testament they are usually just “the Law.” Sometimes the term “the Law” was used for the whole Old Testament, but usually a distinction was made between the books of Moses (the Law) and those of subsequent prophets (the Prophets); hence, the custom in Jesus’ time of referring to the Hebrew scriptures as “the Law and the Prophets” (for example, Matt. 5:17; Matt. 7:12). The Law was revealed by God to Moses on Mount Sinai and came to be respected even by the gentiles for its antiquity and its comprehensive fairness. By the time of Jesus, it had stood as the criminal, civil, and religious code of the Jewish people for well over a thousand years. It had guided them in every aspect of human activity for so long that Jews found it difficult to conceive of life without “the Law” (Stephen E. Robinson, “The Law after Christ,” Ensign, Sep 1983, 69). Jesus lived the Law of Moses and taught his followers to do the same until the atonement was fulfilled. He said, “Think not that I am come to destroy the law, or the prophets: I am not come to destroy, but to fulfil. For verily I say unto you, Till heaven and earth pass, one jot or one tittle shall in no wise pass from the law, till all be fulfilled (Matthew 5:17-18 in the New Testament of the King James Bible). When Jesus atoned for our sins, the Law of Moses was fulfilled and the people could take on a higher law. Olmstead also pointed out that Jesus used the law to help explain his own actions, such as healing on the Sabbath. He taught the law. Olmstead explains, “Jesus did not reject the Law of Moses-the Torah-as found in the Old Testament. 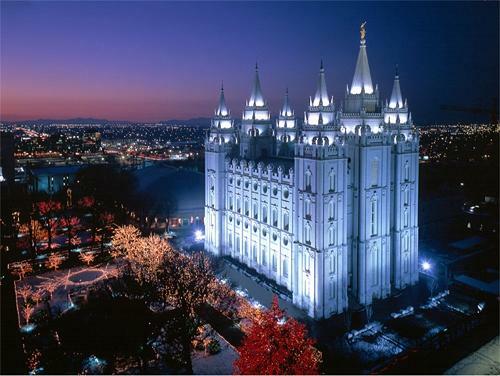 Rather, He used it to affirm its own truthfulness and give a more complete meaning.” Mormons refer to the more complete meaning as the higher law. In contrast, James Faust, a former Mormon leader in modern times, said, “…the intent of a person alone becomes part of the rightness or wrongness of human action. So our intent to do evil or our desire to do good will be a freestanding element of consideration of our actions. We are told we will be judged in part by the intent of our hearts.” (See James E. Faust, “The Surety of a Better Testament,” Ensign, Sep 2003, 2-6.) This was the law introduced by Jesus during his ministry. Although obedience is required, so is intent and faith. A person must also believe, not just carry out the appropriate actions. This is a change from what was taught in Jesus’ day. Jesus taught his followers to obey the law and then to take it a step higher. He taught that the law said that to commit adultery was a sin, and that the higher law was that it was a sin even to contemplate adultery or to think about someone other than your spouse in an inappropriate way. It was no longer enough to be just physically faithful to your spouse-you had to be emotionally faithful as well. While the law taught not to kill, Jesus added the requirement to avoid anger at the person. It was no longer enough just to avoid killing him. Each law was taken to a higher level, requiring more faith on the part of believers. One important part of the law was the law of sacrifice. The Israelites were required to sacrifice their animals. Christians today are taught instead to sacrifice themselves. Jesus made the ultimate sacrifice by dying for our sins, and each Sabbath, we take a sacrament of bread and water to remember that sacrifice. But we are also required to make personal sacrifices. God asks of us to give up our worldly desires and focus our lives around Him. The greater our faith, the better able we are to sacrifice for God. What does the Law of Moses mean to a Mormon? In the early days of the church, Robinson says this was a major issue of concern to those who belonged to the church, particularly to those who converted to Judaism. They wanted to know the restored gospel was an addition to the law of Moses or if it was an entirely new law. Jesus had answered that question quite clearly in his earthly ministry. It was a law designed to lead people to Jesus and to help them understand the sacrifices He would make for them. The law was fulfilled by the atonement of Jesus. Aspects of it, including sacrifice, continue to be a part of the gospel, but in a more personal way, through personal sacrifice of selfishness and worldliness, not animal sacrifice. The law of Moses did not have the power to save us-only the atonement could do that. Despite this, it was an important step in the progression of man.